Italian Thrash Metal band EVERSIN was formed in the early 2000, under the old moniker of Fvoco Fatvo. Their first self-produced album was in 2002, "Tenebra's Dream" that mixed the Epic and orchestral Power to a very aggressive Progressive attitude. After publishing the album the band started playing live. One of the most important gig was the festival called "Metalagno", in Vicenza (IT), where the band played together greatest Italian bands as Centvrion, Arthemis and Paul Chain. 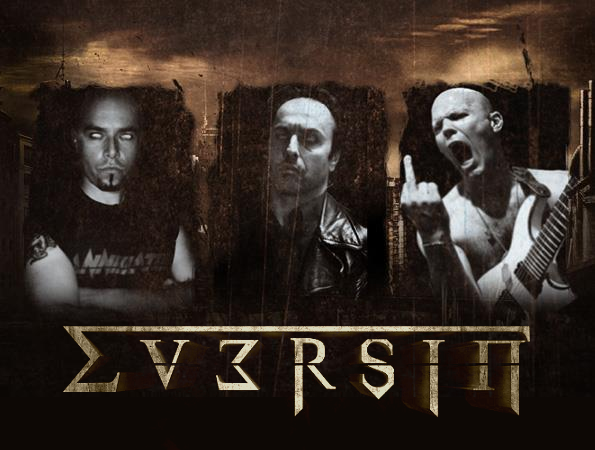 In March 2011 EVERSIN supports DEATH ANGEL during their Italian tour. 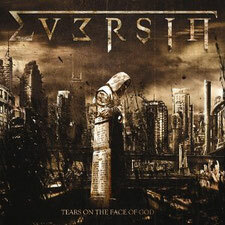 Now the band will release their 5th album (the 2nd album as EVERSIN) "Tears On The Face Of God" with digipack from My Kingdom Music on November 26, 2012. The album features two special guests Mr. Tony “Demolition Man” Dolan (Atomkraft, Venom and Mpire Of Evil) on vocal and Mr. Simone Mularoni (Empyrios, DGM) on lead guitar. Mastered by Simone Mularoni at his Demolition studios.